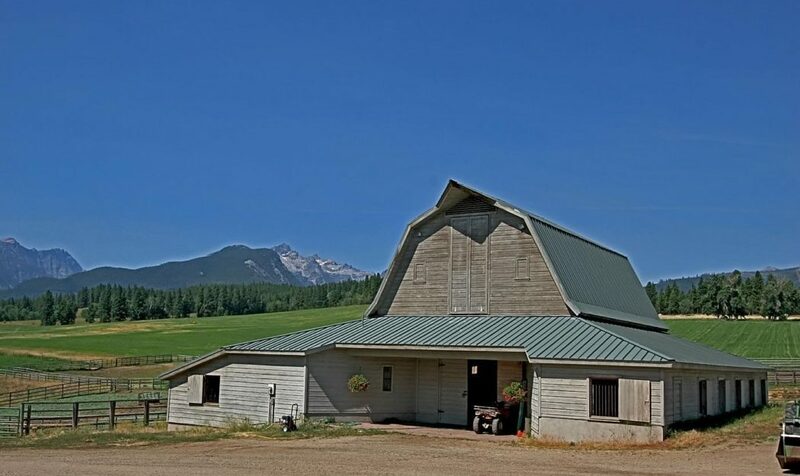 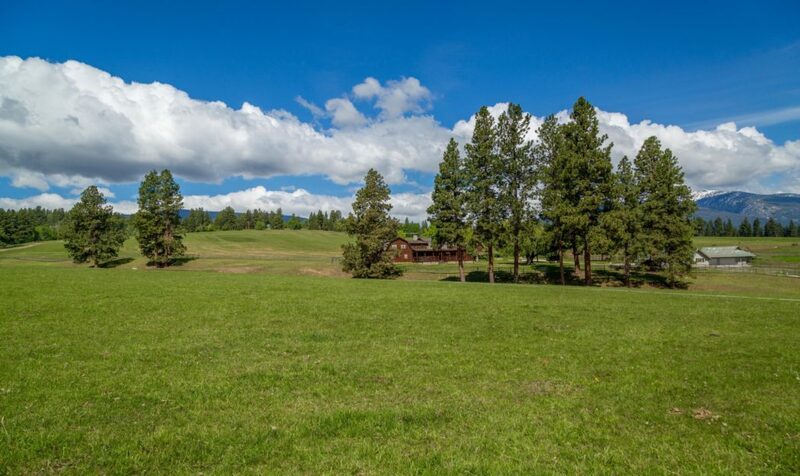 First time listed, the north side of Running Elk Ranch features some of the very best attributes of this Ranch, to include a 3584± sf, 6 bd, 2 ba updated home, a 5800± sf plus horse barn and tack area, and several additional machine shops to include a brand new hay storage shed. 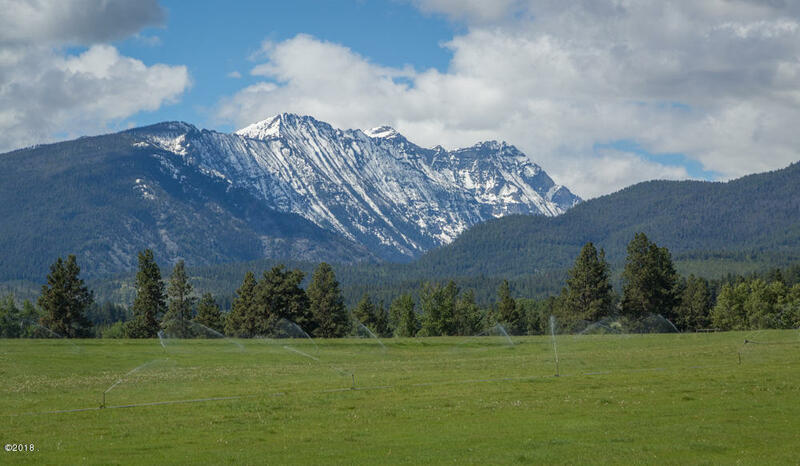 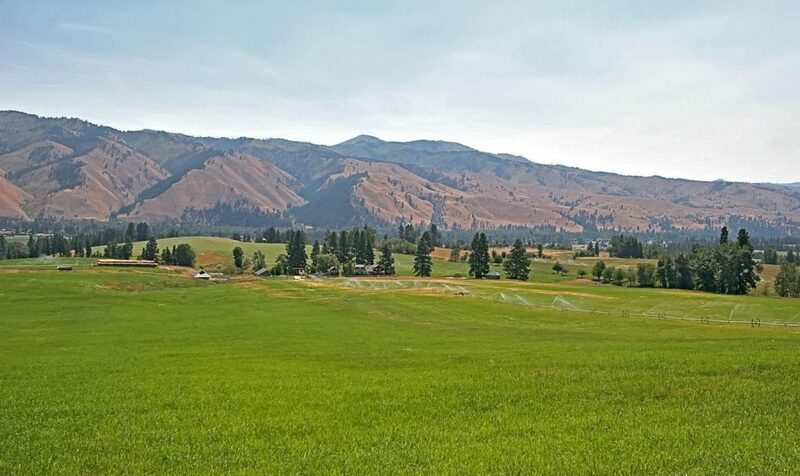 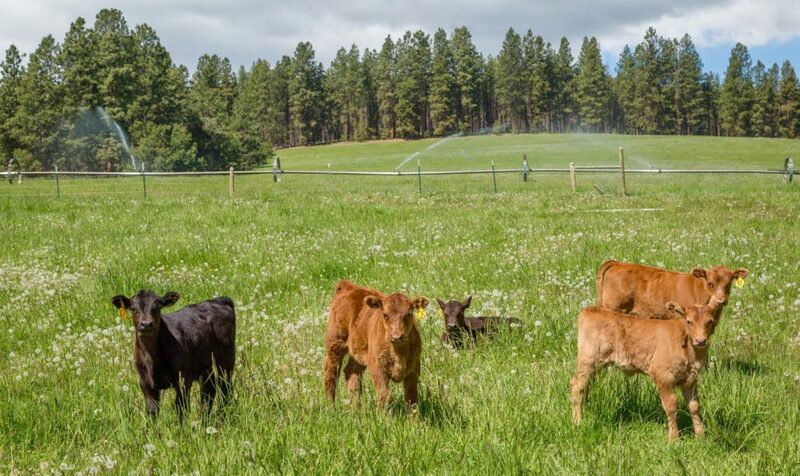 The 319 acres includes approximately 150± acres of gravity fed sprinkler irrigated hay ground with full water rights and Forest Service access. 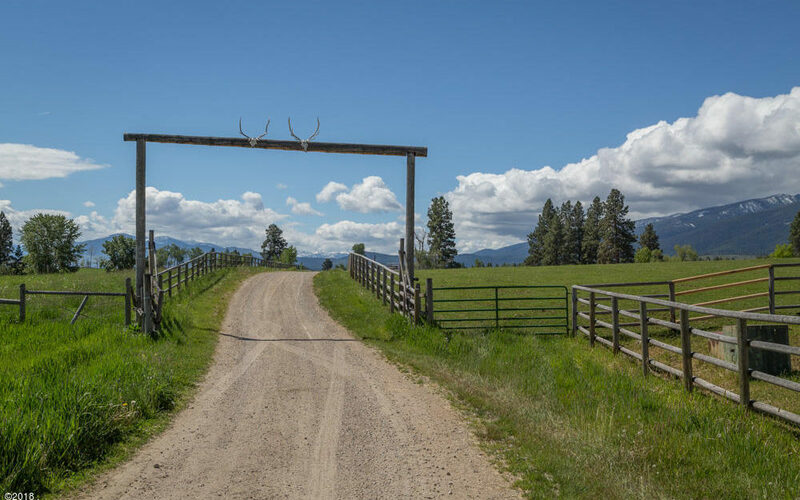 The Running Elk Ranch is arguably the most beautiful ranch in the Bitterroot Valley. 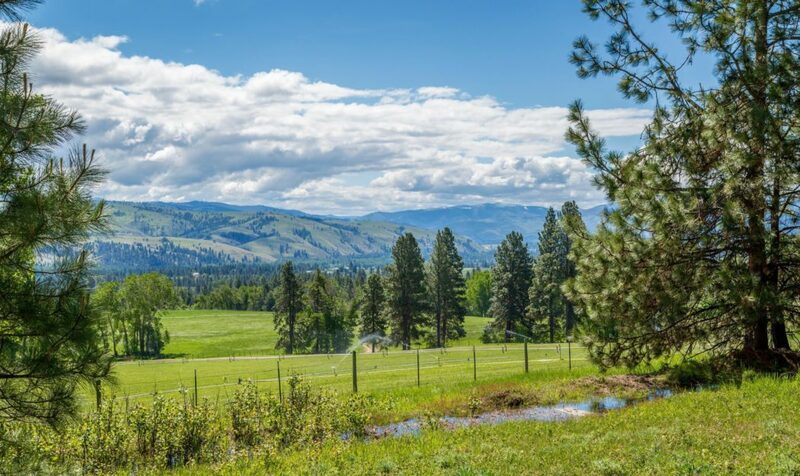 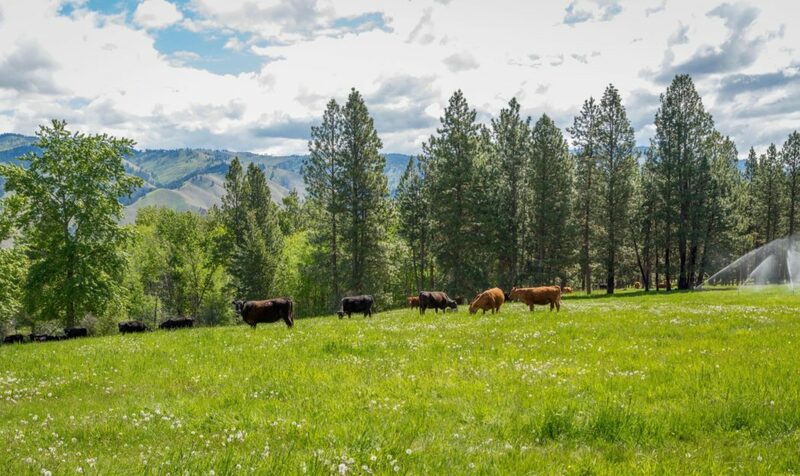 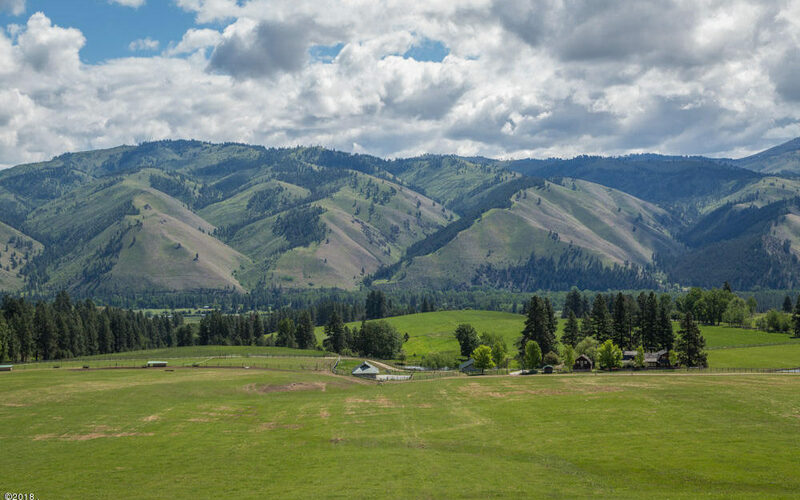 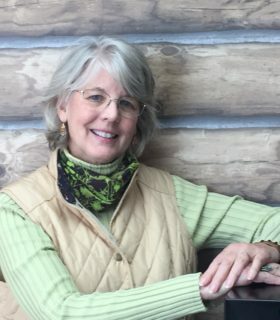 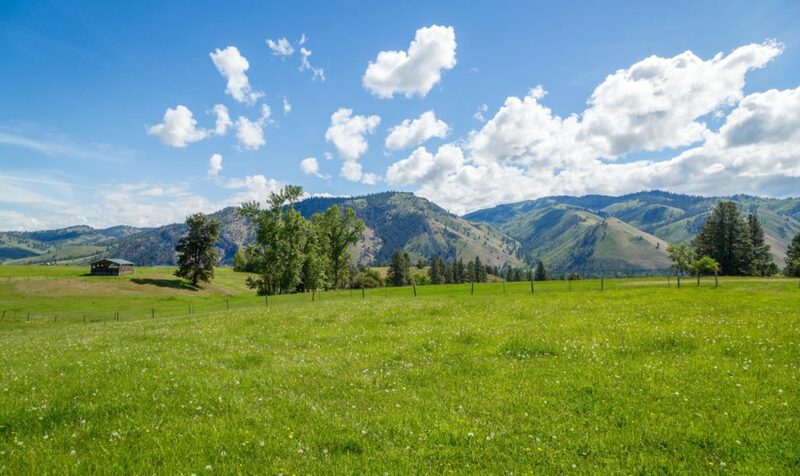 The gently sloping hills and draws of the ranch are blended with lush aspen groves, old growth and productive irrigated hay fields creating the idyllic western setting. 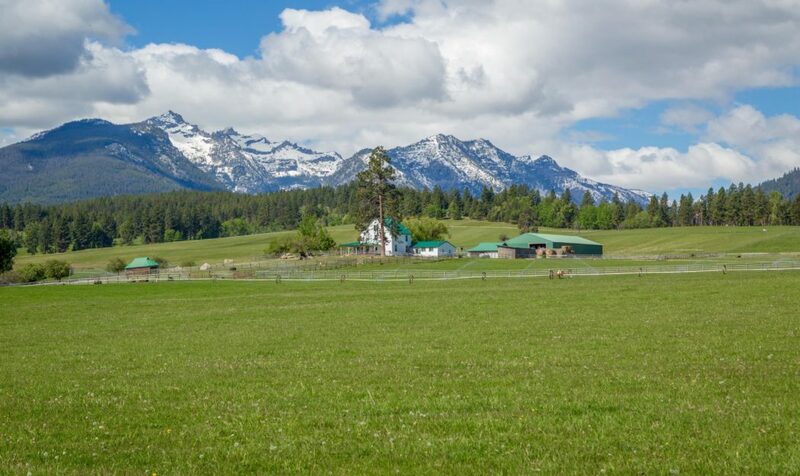 As you look West your eyes are immediately drawn to the jagged peaks of the Bitterroot Mountains. 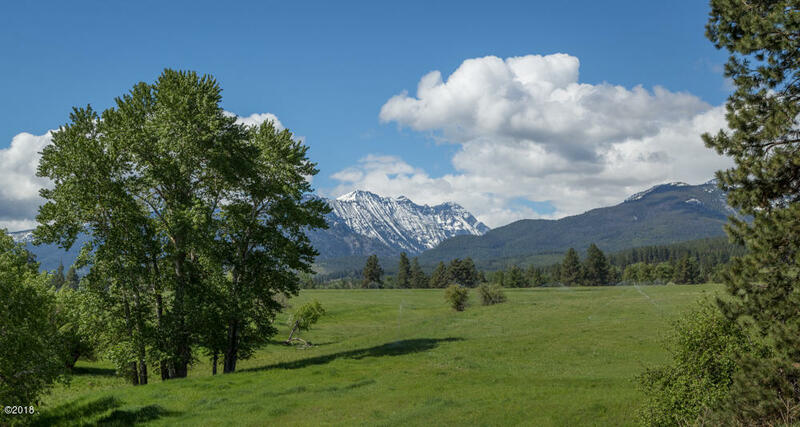 These mountains front the Selway Bitterroot Wilderness and Frank W. Church River of No Return Wilderness areas, literally a 4 million± acre plus playground right out your back door of some of the most wild and beautiful National Forest land to explore and enjoy. 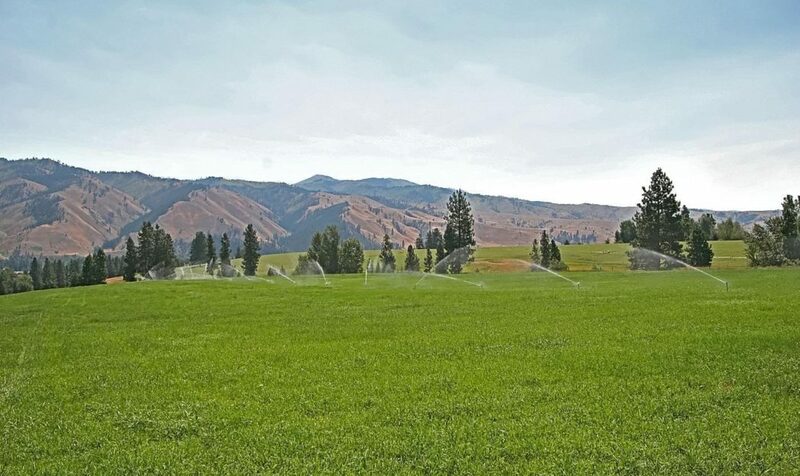 Every manage drainage out of the Bitterroots has a trail leading back to these areas. 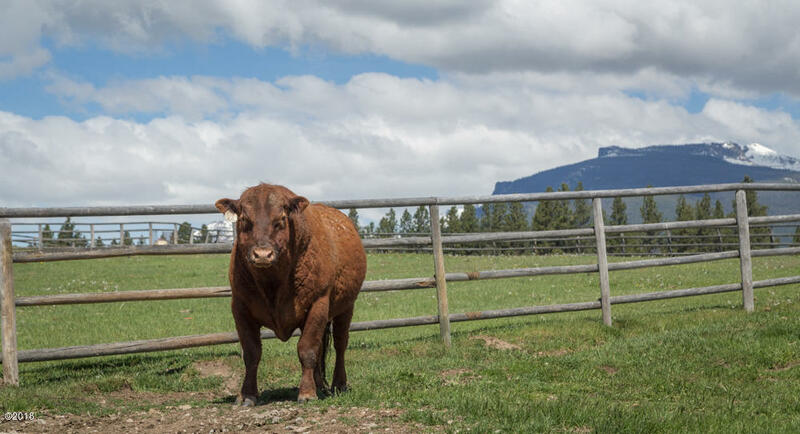 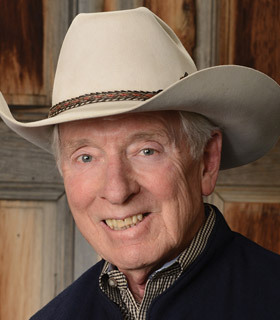 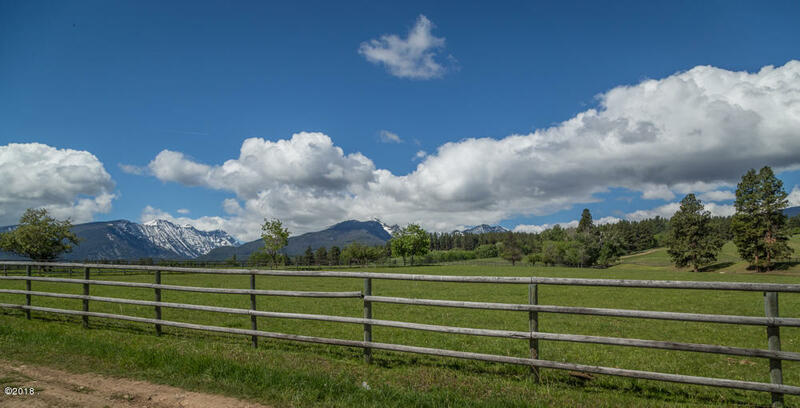 Your view to the East has an unbroken view of the Sapphire Mountains and the CB Ranch a 23,000± acre Ranch. 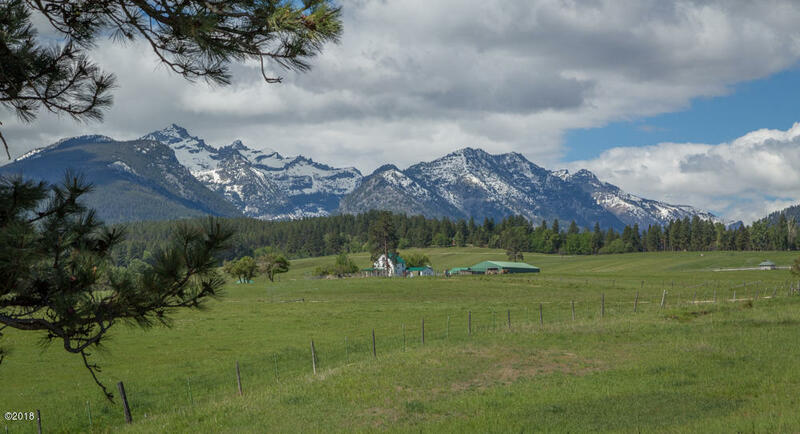 Elk, deer, bear, moose, turkey and all sorts of additional wild life call this ranch and surrounding area home. 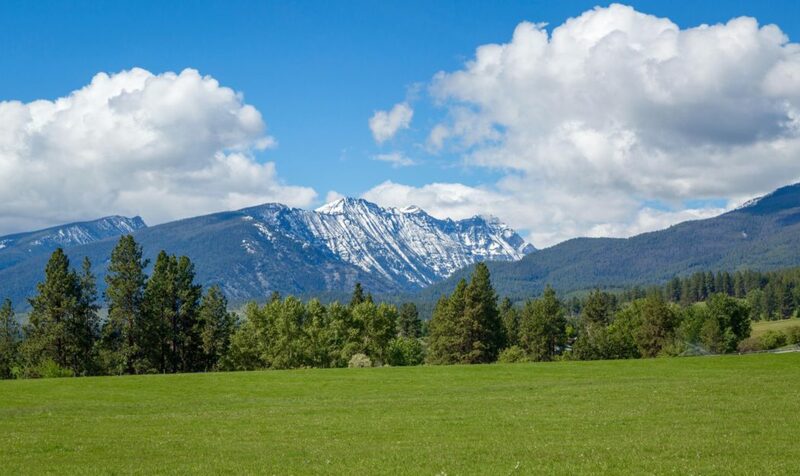 Just five minutes from the gate of the ranch flows the Bitterroot River, providing some of the finest angling for wild trout in the lower 48 states.